La nouvelle console réseau Audioarts D-76 possède toutes les caractéristiques de la D-75, qui est un standard aux Etats-Unis depuis 15 ans, à laquelle ont été rajoutées des connections RJ pour les entrées/sorties. Elle est disponible en version 12 ou 16 faders et peut être commandée avec un module réseau afin de la connecter au réseau WheatNet-IP. 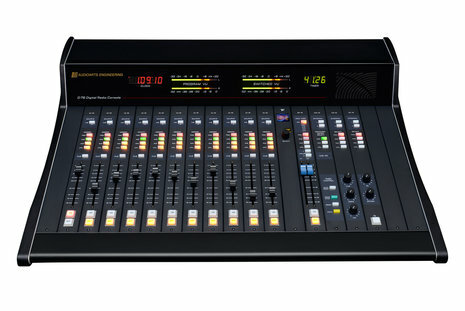 The new D-76 is a tabletop, modular console available in a 12-channel or 18-channel frame like its predecessor, the popular D-75, but includes StudioHub+ RJ 45 connectivity and can be ordered with optional IP-76 plug-in module for interfacing to the WheatNet-IP Intelligent Network. 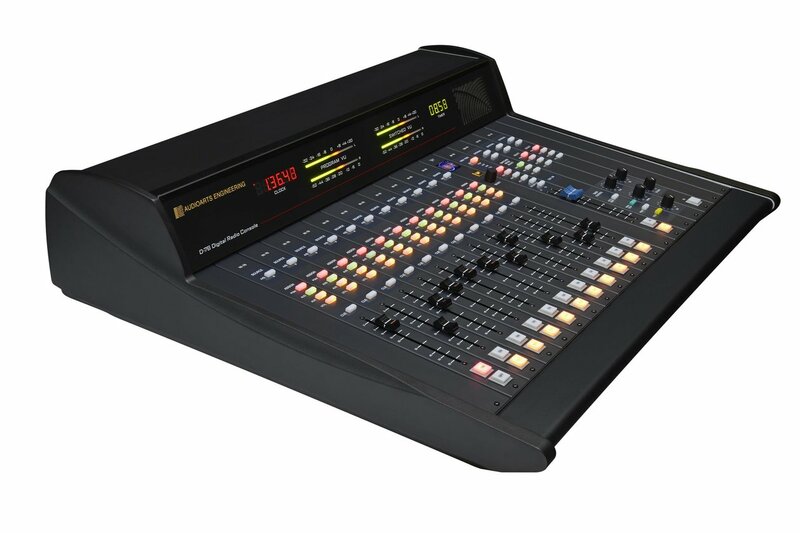 Sporting a sleek new profile, the new D-76 comes standard with sample rate conversion, ample mic preamps, and plenty of stereo busses, caller capability and a comprehensive monitor section that provides separate feeds to control room/headphone and studio monitor outputs — plus headphone jack and built-in cue speaker. It has four stereo busses, dual-domain outputs, sample rate conversion on all digital inputs, and interchangeable input module daughter cards for easy analog-to-digital conversion in the field. Its modern design features backlit controls and meter bridge with full-scale, bargraph digital peak plus VU metering and automatic timer and clock. Individual plug-in modules make D-76 installation and service a breeze. The D-76 also can be ordered with an optional SUPERPHONE module, which supports two callers, as well as optional IP-76 card for interfacing to the WheatNet-IP network. 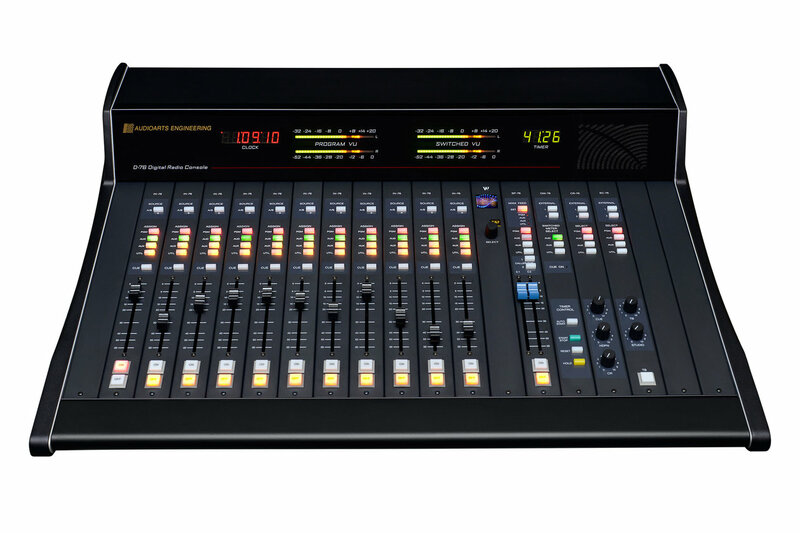 This new console has everything that the industry has come to expect of an Audioarts console — like rock solid reliability and ease of use —but is laid out in a sleek new design that is both affordable and practical for the modern radio station. The optional IP-76 module can be added to the D-76 for interface to any WheatNet-IP system. (A similar module, the IP-75, can be added to existing D-75 consoles for the same purpose.) This plug-in module is easy to add and set up, with color OLED display for setting I/Os and other network parameters from the console surface. WheatNet-IP is Wheatstone’s popular audio-over-IP network system featuring Gigabit Ethernet throughput and logic control integrated with audio routing, providing operators with instant access to not only I/O, but the logic commands that go with I/O devices and audio. With the IP-76 module, the D-76 console can effectively become a network console for access to and sharing of all resources on the network. This module provides six outputs from the WheatNet-IP audio network that can be effortlessly patched to any input module configured for a digital input and provides two AES inputs to the WheatNet-IP network. Further, the IP-76 (or IP-75) will pick up the four main busses and caller return feeds from the console and add those as sources to the WheatNet-IP audio network for routing.